Nunavut residents are now able to legally buy cannabis from a new supplier. Agmedica Bioscience Inc. of Chatham, Ontario, is now shipping its products to the territory, through its recreational cannabis band, Vertical, following a supplier agreement recently struck with the Nunavut Liquor and Cannabis Corp.
Vertical’s website currently offers Nunavut residents four varieties of dried cannabis, all priced at $14 per gram, with THC potencies ranging from 14.5 to 18 per cent. These products are all sold by the 3.5 gram bottle for $49. Shipping costs an additional $10 for orders under $100. Vertical’s online store also sells three different kinds of vaporizers, a cannabis grinder, and a storage box with a combination lock. Nunavummiut also remain able to order cannabis legally from the territory’s first online retailer, Tweed.com, owned by Canopy Growth Corp. of Smith’s Falls, Ont. 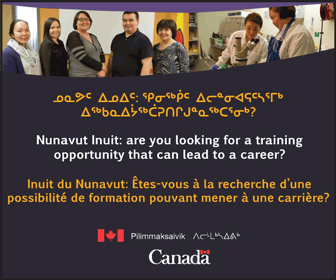 The Government of Nunavut says it continues to seek more suppliers. The Nunavut Liquor and Cannabis Corporation reminds residents that it’s illegal to order cannabis from anyone but the corporation’s agreed upon suppliers. Hey GN, when are you going to start doing business with suppliers in BC? Big Momma Nunavut Liquor and Cannabis Corporation forcing us to consort to illegal cannabis from better suppliers with better weed. It’s members probably don’t even know the difference in the quality of cannabis being sold at its suppliers. It seems to them weed is weed no matter how bad it is. 7 months into legalization and you still can’t buy green in Nunavut if you don’t have a credit card. That’s a FAIL!! I don’t know anyone that orders from the official sources and why would anyone when it’s 3 times as expensive as the flourishing online black market? 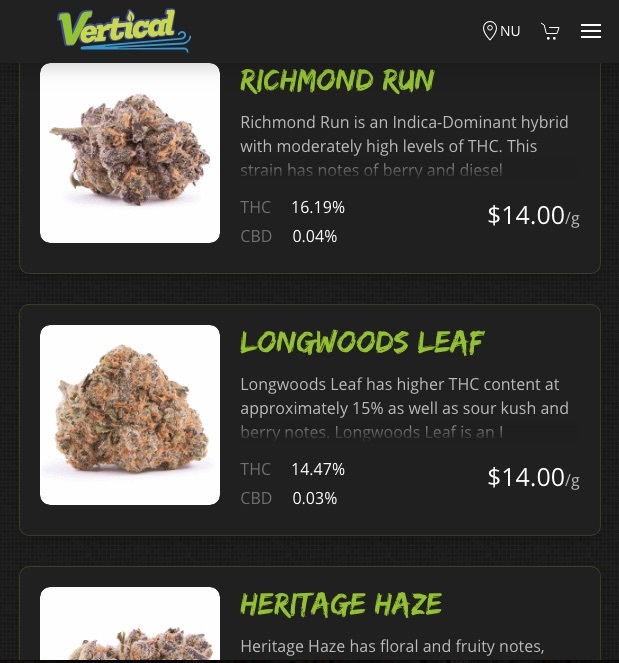 $14/g….give your head a shake…I pay about $5/g and can order without a credit card. Prices are higher and the strength is lower. No thanks. Government gets their hand in something and ruin it. Prices are crazy and the weed is crappy, sometimes mouldy and tastes like soap. I could get it on the black market at that price before legalization, and the quality was grade AAA. It is not working in Nunavut the way the GN set it up, there is no deterrent to the black market, just keeping it flourishing. Need to be able to buy it in every community with cash if it is ever going to work. And agreed, where are the BC suppliers, BC bud is known worldwide for it’s strength and quality, and here we are stuck with ordering from newbies in Ontario. It’s a joke. THC of 14.5-18% for $14/gram? no thanks, I can get better quality for much cheaper price. Your title….Second Supplier Now Offering Legal Weed to Nunavut….is any weed illegal now? That would be a very clear yes, any weed not legally bought from a licensed supplier is not legal, unless it is the amount self-grown for personal consumption, which to be honest I don’t know if Nunavut allows. I believe we are allowed to grow our own, though the governments original plan was to prohibit this, it reversed course on that. So many wrongs to make something right. The packaging – you have to be kidding. Look at the package for one pre-roll. A single gram of cannabis and a whole lot of plastic that typically cannot be recycled readily in Nunavut. The cannabis is desiccated. Too dry. Most people like to have a little body in the pot so they can roll it easier. Most of what I have seen with our lone supplier is so dry that it turns to powder easily. Not good for rolling. Lacking in aroma. Good marijuana has intoxicating aromas. This stuff smells like hay. One smelled like stagnant water and tasted like algae. Blech! The balanced bud was OK for aroma and texture believe it or not but it was lacking in effect. Might as well smoke a teabag. The THC content is low. Recreational grass should have a bit of a kick! The price is outrageous! Period. Does Nunavut price the liquor higher than the bootlegger? Of course not! 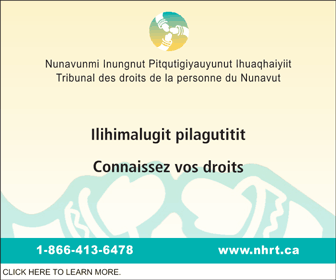 It seems that we would need someone in Nunavut that has years of experience with marijuana to be able to understand what needs to be done in a legal scenario. Do we child proof our liquor bottles? A substance that is much more toxic than cannabis, and can even be lethal. It should simply be the responsibility of the parent to keep the stuff out of reach of children. Previously, marijuana was in many households before legalization. Did we require, out of necessity not law, to childproof the stuff then? Has there been a decrease in accidental ingestion involving children? To me, it is overkill. There is no known lethal dosage of THC. Rethink the packaging. Reduce the cost. Put some Hashish up for sale. Vape pens and concentrates. It is available to every other Canadian. Why are we treated differently again. Are we not Canadians? Why does one need a credit card to purchase? 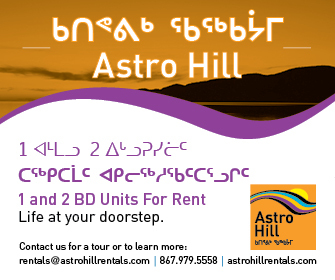 Most Inuit that I know do not have a credit card. They do not have internet access. How about a phone call and a pay center at the coop or northern store? It should be accessible. Look, the world is not going to change into a mob of pot crazed maniacs running the streets amok! Nothing will change. People that buy marijuana existed previous to legalization and it wasn’t happening then. Be fair and give us what we deserve. Like the rest of Canadians. Why do we pay more for less? I would like to see some intelligent thought put into what we are doing with this legal substance. Nope. No more explanation needed. Dude, that’s doped man. I can only..haà Haha haa ha ha. That was a good one. Now I need a, a uh, uhm. Sounds like Chich & Chong should be the president of the weed company.